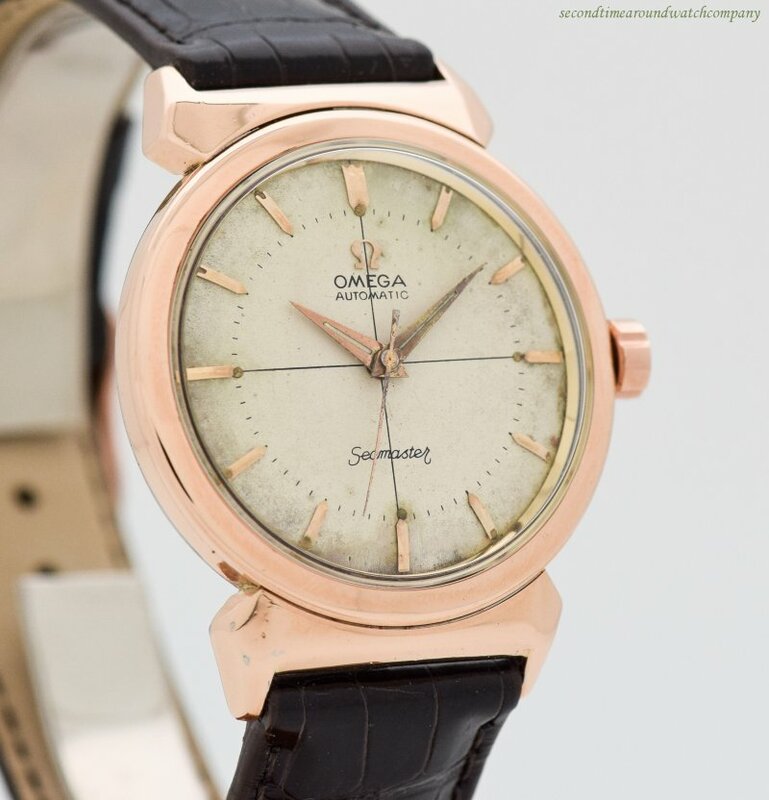 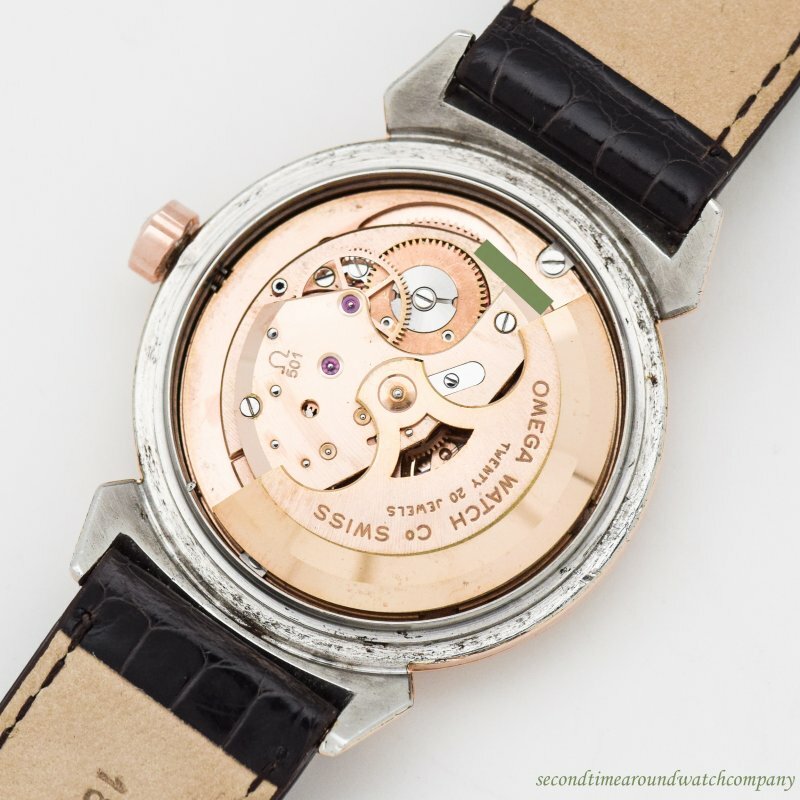 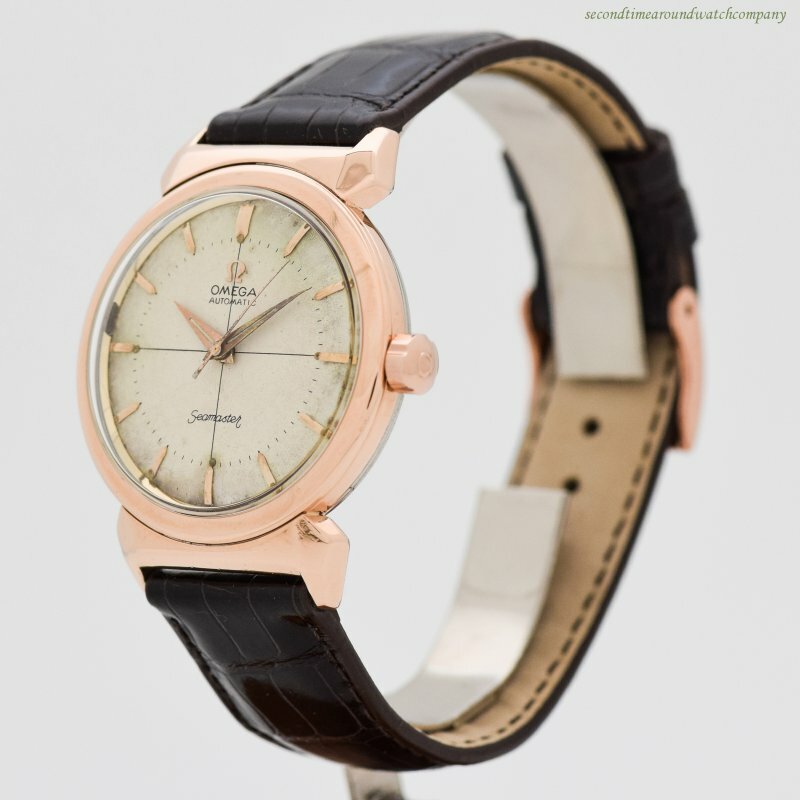 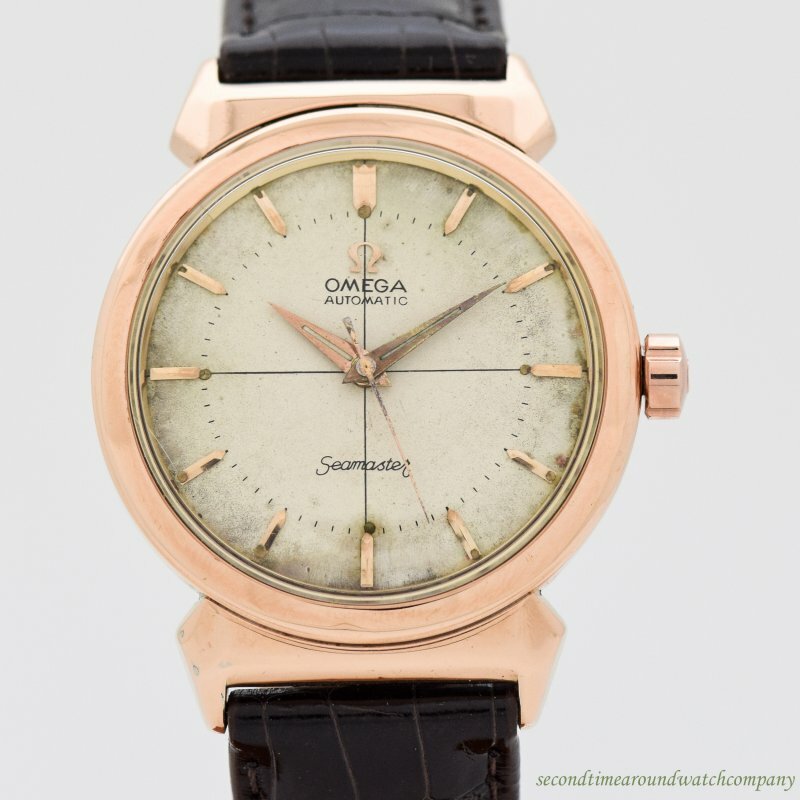 1958 Vintage Omega Seamaster Ref. 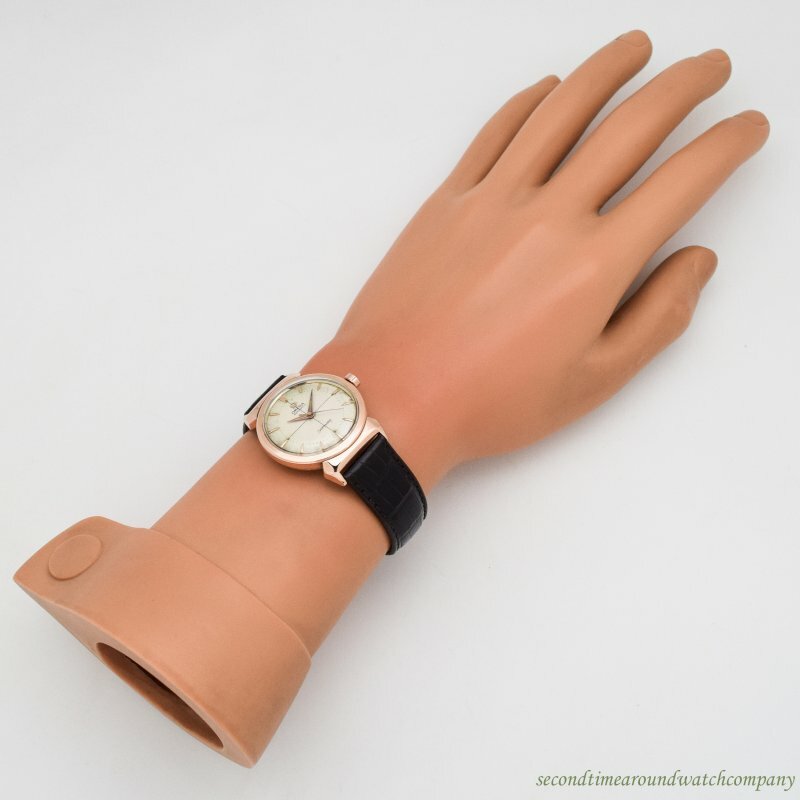 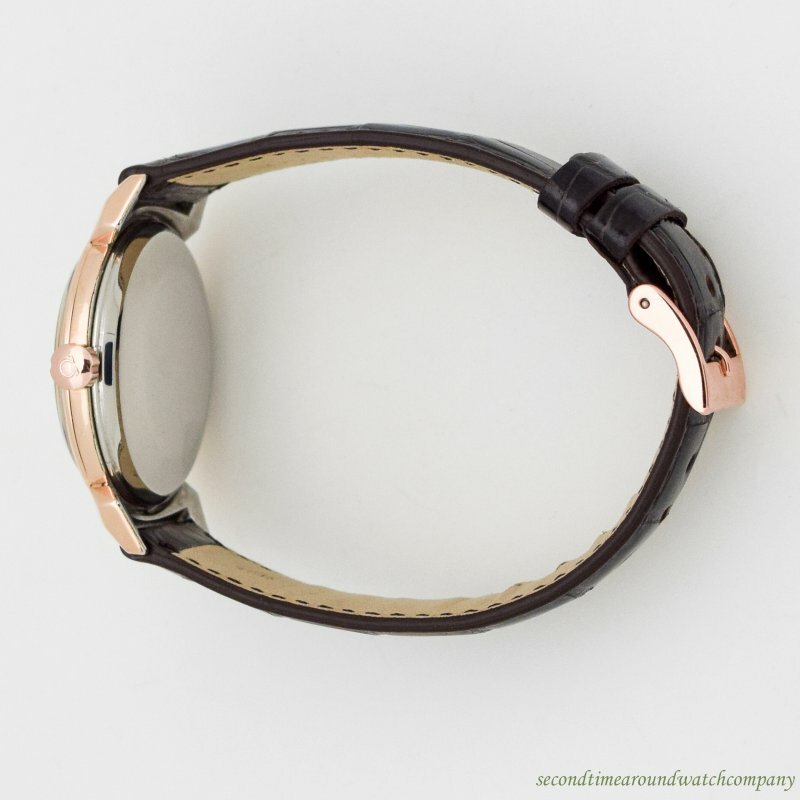 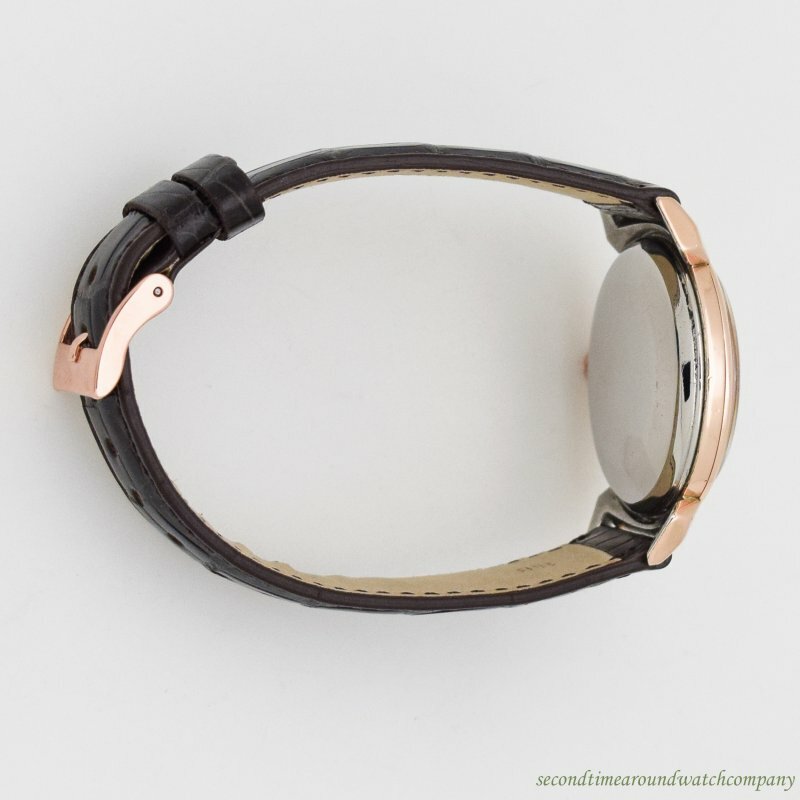 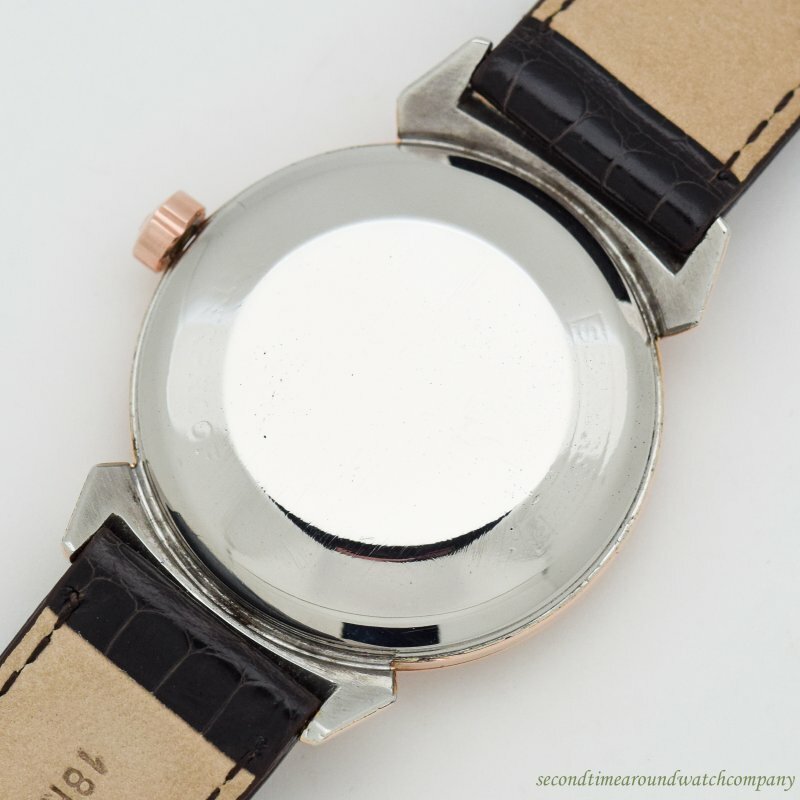 14363 4 SC 14k Rose Gold Shell with Stainless Steel Case Back with Unique Faceted Hooded Lugs with Original Dial with Applied Rose Beveled Pointed Tip Stick/Bar/Baton Markers. Triple Signed.